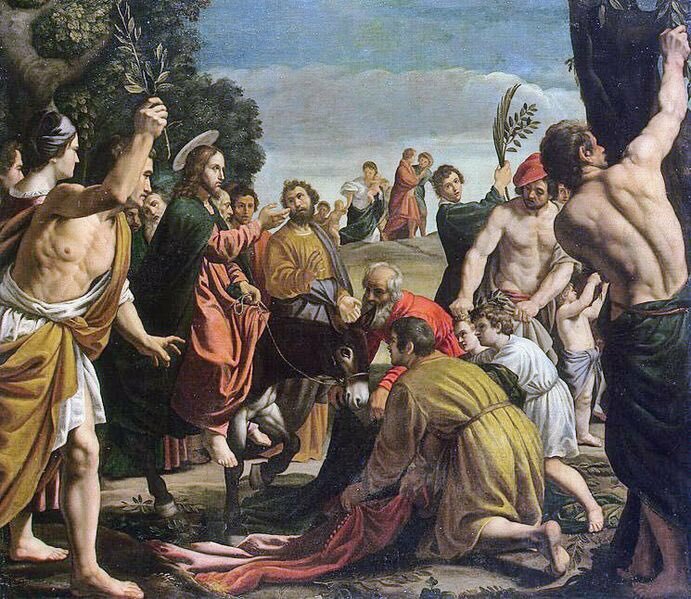 “A certain man from Cyrene, Simon, the father of Alexander and Rufus, was passing by on his way in from the country, and they forced him to carry the cross.” Mark 15:21. A Jew from Africa traveling/sojourning 900 miles for Passover was the one asked to carry Jesus’s cross. Selah. 2) Cyrene is in Libya. ““Some of them, however, men from Cyprus and Cyrene, went to Antioch and began to speak to Greeks also, telling them the good news about the Lord Jesus.” Acts 11:20. First to bring the gospel to non-Jews were sojourning Jews from Diaspora in Africa. Selah. 3) I was asked to speak about Simon of Cyrene at the community Good Friday service today at noon and oh my goodness. There is so much there to ponder. 2) When you side with Caesar over Jesus, it is Caesar you will get - without Jesus. When Caesar’s boot comes down on your neck, remember you chose perceived access to earthly power and convenience over the sacrificial love of Christ. 3) and by “Caesar” here, I don’t JUST mean one leader we need to be aware of appealing to or trusting, but the powers and principalities, what the Bible calls “the world” (John 15:9, 18:36; 1 John 2:15-17; Revelations 18:4; Ephesians 6:10-12). This Populist/Nationalist movement should be seen as a religious mvmnt with ideals rooted in visions of an religio/ethno-State or pseudo-Catholic church/state merger. Bannon clearly explains this. His vision of “The West” shouldn’t be taken lightly. It is very appealing to many. 2) This is psuedo-religion. That’s how you can explain Bachmann’s comments about Trump being the most godly. To her, he is. Combine that with what Bannon is proposing and this becomes a sect with its own cosmology/theology rooted in power, not the cross. 3) I’m not saying that all Trump supporters share religio-populist/nationalist views. Or most. Or you have to have these views to support him. NOT AT ALL. I’m saying what is being promoted by Bannon, Bachmann, others is taking on a religious nature, and they’re open about it. 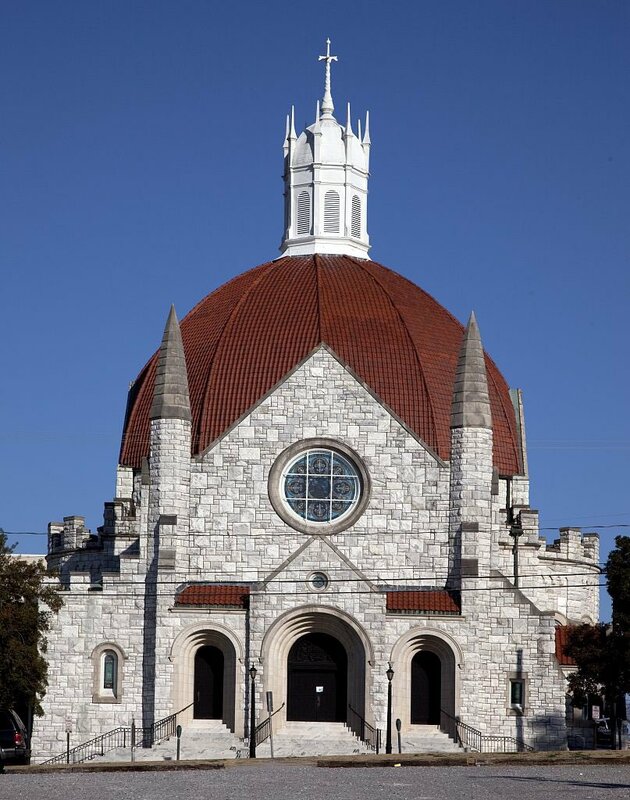 In light of burning of Notre Dame, I wanted to highlight favorite church buildings in Montgomery: FBC (S. Perry St.), First Baptist (Ripley St.), and Dexter Avenue King Memorial Baptist. 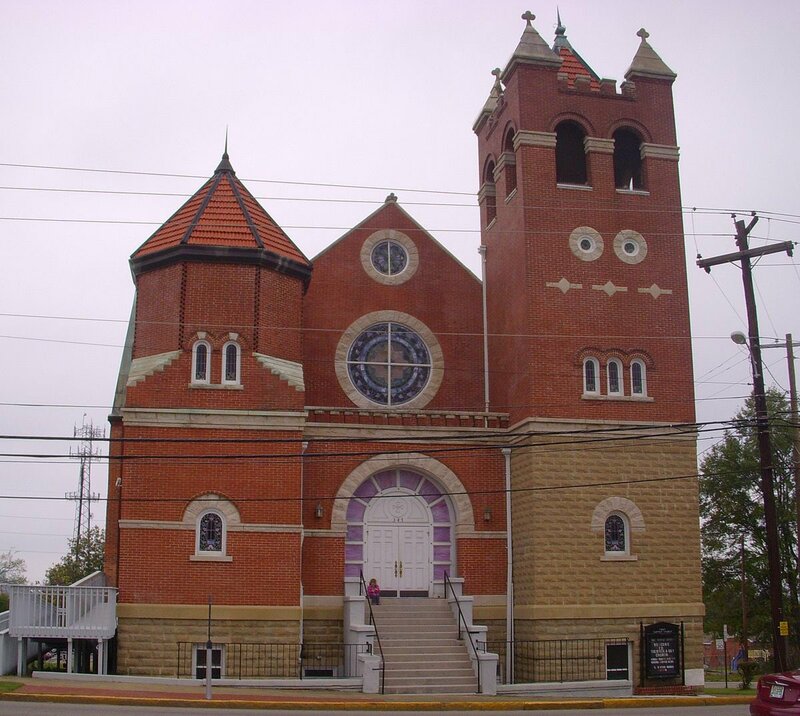 These 3 churches are intertwined in their history thru Antebellum, Jim Crow, Civil Rights. 2) FBC Montgomery founded by Lee Compere in 1829, a British Missionary to Creek peoples and abolitionist. He was baptized by John Ryland and was sent by the Baptist Missionary Society (William Carey) to Jamaica where he worked with George Liele’s churches. Later went to Alabama. 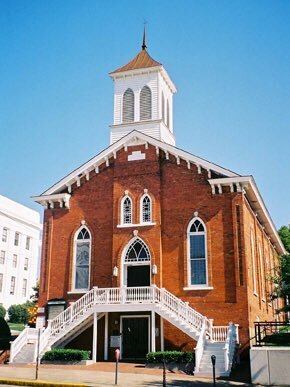 3) First Baptist on Ripley St’s first Pastor was Nathan Ashby who led 700 freed slaves out of FBC Montgomery in 1866. Ashby was led to Christ by learned and powerful slave preacher Caesar Blackwell, who rooted true Christianity in the growing slave population of Central Alabama. 3) “... to renew its standing as a sign (before its arrival) of the world that’s coming to this world.” - This is beautiful, and true, that the church and even these old buildings are sign posts that there is more coming than we can presently see. In seminary, lots of people said the church is not the building and why do we need buildings and then we threw up metal buildings and shopping mall like structures for churches and concept of sacred space was lost. Today, Notre Dame burns and the world mourns. We were wrong. Church buildings are beautiful and meaningful when they point us beyond ourselves to Heaven, to God. That was idea behind medieval churches - to point to the transcendent for a people, largely illiterate. Of course, the church IS the people, but we’re wired for beauty too. Oh no ... this is such a tragic loss. No words. I visited once years ago. Tears. The loss of this cannot be overstated. Just tragic. My goodness. 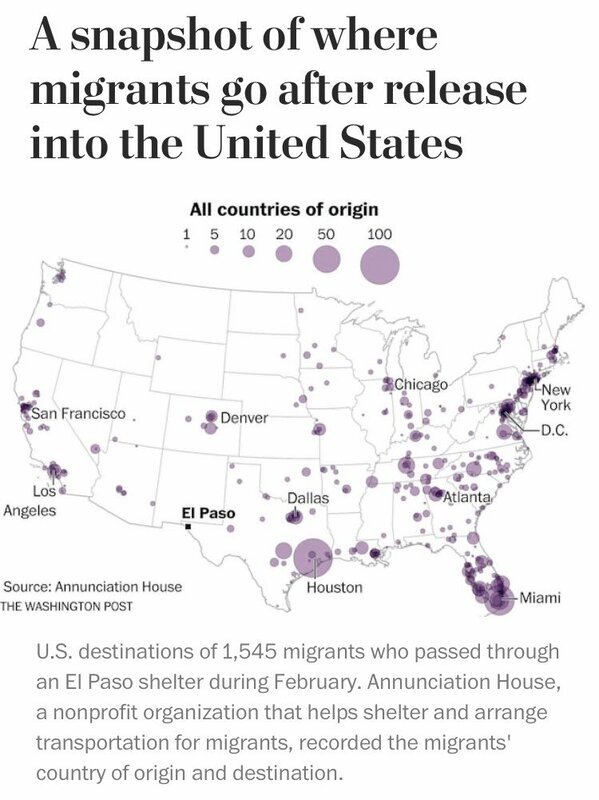 Sample of where migrants are going after they leave El Paso. 3) @JimmyScroggins is 100% right. This is how we all need to be thinking. 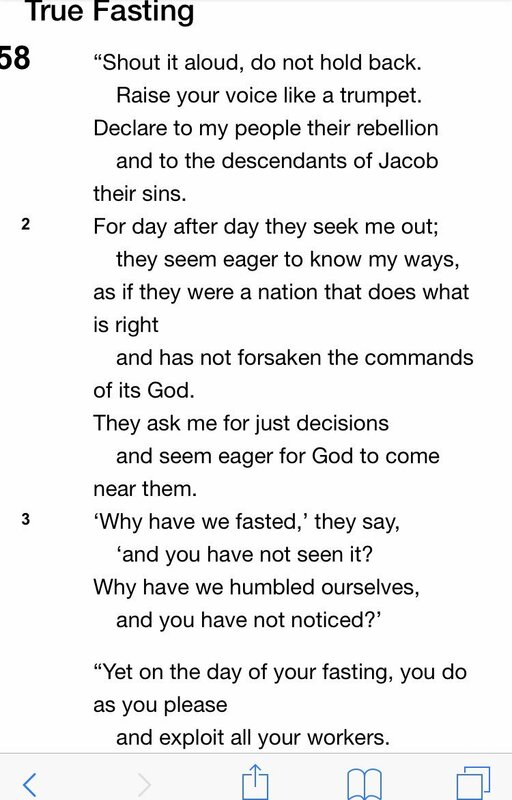 God is sovereign over the mvmnts of peoples on the earth (Acts 17:26-28). And, He places the church along the way to receive “wanderers” Isaiah 58:7. Church in America is being tested. How will we respond? 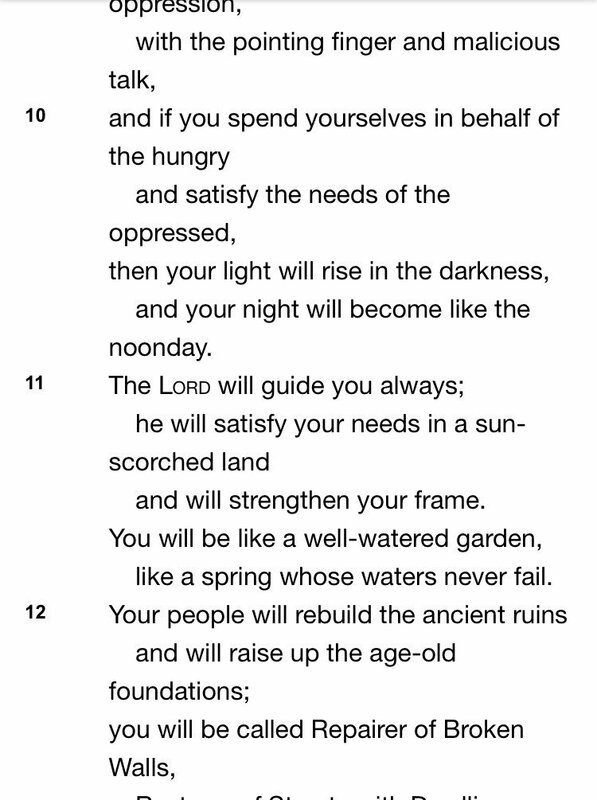 “Rejoice greatly, Daughter Zion! Shout, Daughter Jerusalem! See, your king comes to you, righteous and victorious, lowly and riding on a donkey, on a colt, the foal of a donkey.” Zechariah 9:9. “Entry Into Jerusalem.” Pedro Orrente, Spain.1580-1645. He breaks @mcbelz piece down into relevant quotes. 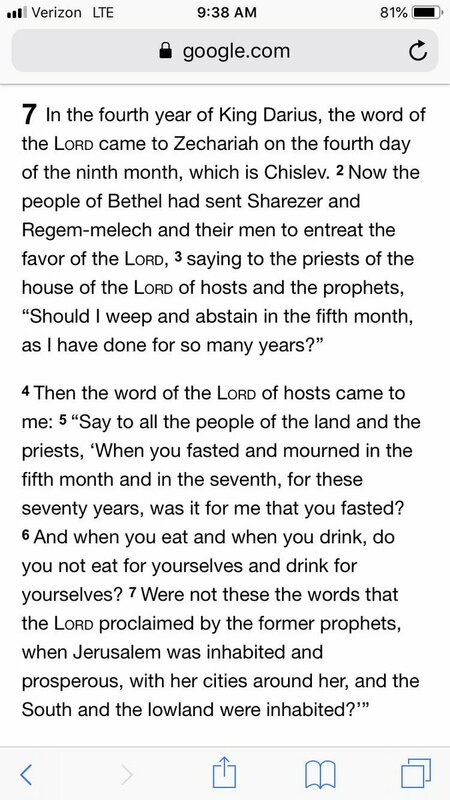 Every pastor and church leader in America should read this and consider what God would call them to do. This is a global crisis that the church can step into. Rule of Law, though. Right? Whatever. Just keep the migrants out at all costs, no matter what the law says, apparently. That seems to be the goal. The President is supposed to execute the law, not bend it to his will. This is really troubling. 2) I mean, if this is true, the President of the United States is giving unlawful orders to government agents. This should be a huge scandal and a Constitutional crisis. 3) Reality: law actually exists to give those in power what they want. It doesn’t exist to order society. 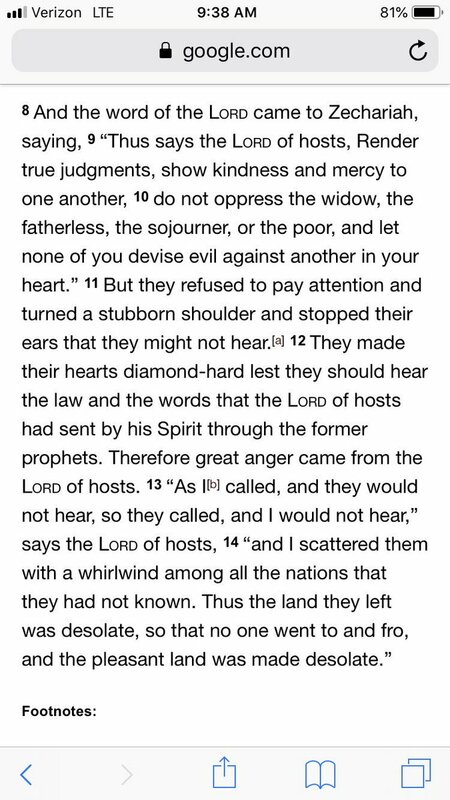 Nothing Romans 13 about this, no matter what people like Robert Jeffress say. Trump can ignore the law and his followers don’t care b/c he’s perceived to protect THEM. 2) Three black churches were burned down in Louisiana over the past 10 days. Concerns expressed about potential racial motivations. Authorities investigating. 3) This happens along w/ a hundred other things related to white nationalism over past few years and there’s a group of white evangelicals who have the audacity to say there are no problems with race, injustice, or social issues and any concern is just cultural Marxism. Psh. THREAD. America was never founded as a Christian nation, unless your version of Christian = White Supremacy. We have to realize that something else was at work in construction of “whiteness” and “blackness” as social categories and it had to do with establishing power systems. I’ve spent all but 3 yrs of my life here. 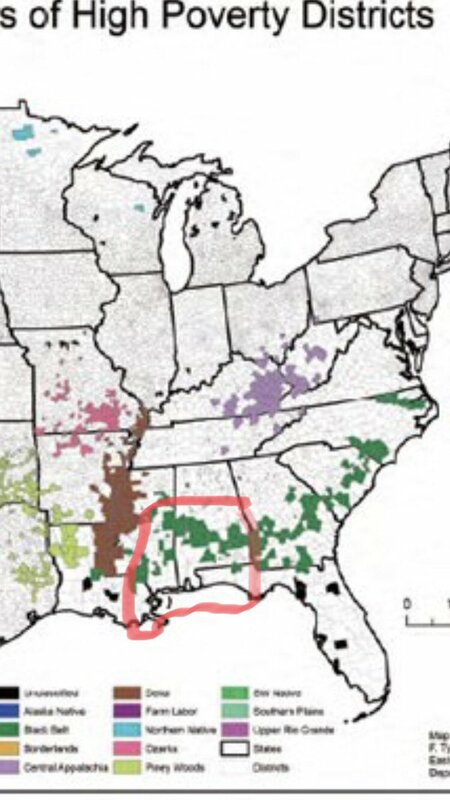 SE Louisiana (New Orleans), South Mississippi, NE Mississippi (Miss. St. Univ. ), Cent. Alabama (Montgomery). Ancestry here goes back 200 yrs. Forever, this will be home. Gulf Coast, cultures merging, food, music, history, conflict. 2) Complexity & beauty of life in the Deep South is not something that can be learned in a book or a trip or even just by living here. You have to drink it in, listen, feel nuances, the fault lines, the ways history, Race, culture, religion, tradition, fear, and power converge. 3) I love it here. Spring, when the air turns warm and humid and death turns to life with everything green and in bloom. I understand why my ancestors came here and why they stayed. America is not just one nation, but many lands and peoples and cultures. This is one or three. 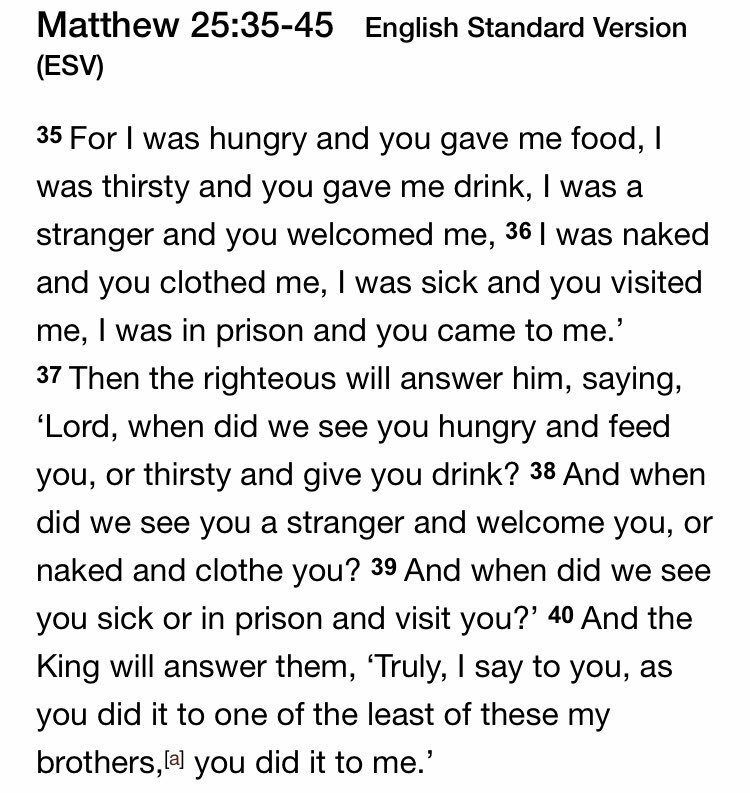 2) Jesus made it plain in Matthew 25 that how we treat the stranger, the poor, the hungry, the prisoner is directly proportional to how we treat/see Him. “But, he’s talking about Christians! He said ‘brothers!’” You don’t think there are migrants/prisoners who are Christians? 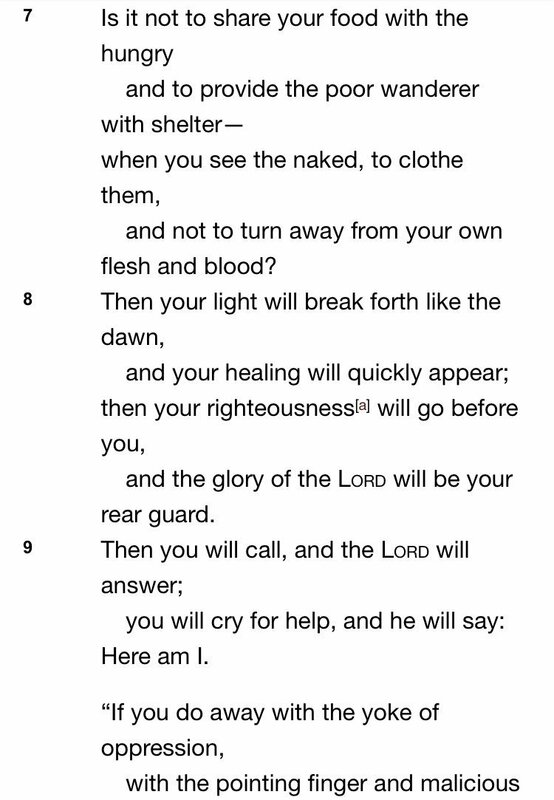 3) Isaiah 58 also makes it clear. 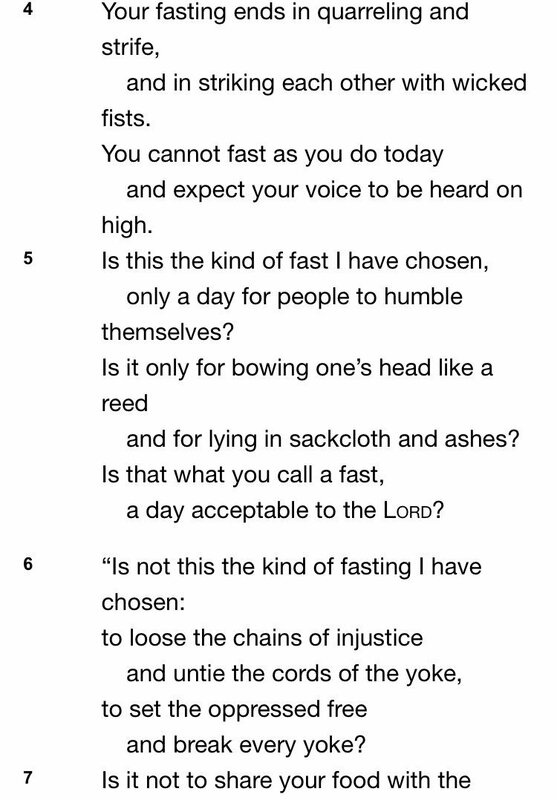 We can have religious services, do church, fast, pray, plant churches, support missions, worship, study theology, etc, but if we don’t love our neighbor and provide justice and help for the poor, oppressed, hungry, and wanderer, it’s not right. 3) I don't get it. This is a textbook Religious Liberty issue. Where are Evangelicals who have made RL a major issue over past 5 yrs? You can't sound the alarm over cake bakers, florists, & photographers for gay weddings and NOT care about this and have any integrity left. Neal Katyal, fmr Obama acting Solicitor General: "100 years from now, law students will read about this decision. It may be read alongside Dred Scott, Plessy v. Ferguson, Korematsu, and the Chinese Exclusion Act cases.” Yet, Evangelical Religious Liberty groups remain silent. 3) I guess I should thank Kobach, though. 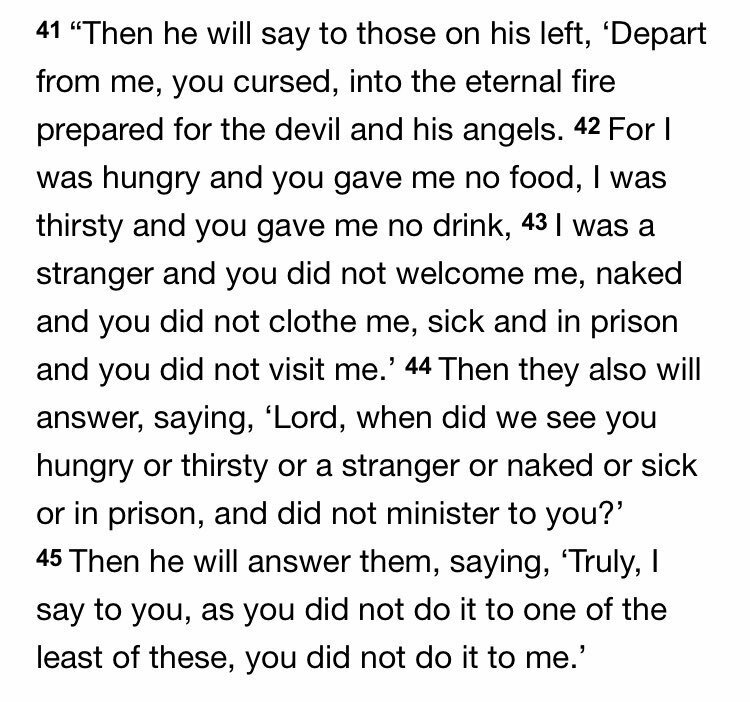 Seeing how his legislation thoroughly deceived Alabama Christians to go along with cruelty and obedience to the state rather than God woke me up from my slumber and caused me to consider the plight of the immigrant, especially children. 2) One reason numbers of abortions are so high in the AA community could be b/c of legacy of racial terrorism represented by Lynching. We should look beyond numbers and ask how incited fear/subjugation affects people/families for generations. 2) Desperate people fleeing violence, persecution, poverty streaming to our border by the thousands. Migrant camps forming. Our capacity overwhelmed. Thousands released into US per day. Do we only care about these people if we can find a way to blame Trump? They are PEOPLE. 3) Response on the Left is sometimes outrage only if a Trump policy can be blamed. And, maybe there IS blame, but that shouldn’t be the motivation for concern. On the Right, concern sometimes grows just b/c migrants get in. But, where is concern just for the migrants themselves?